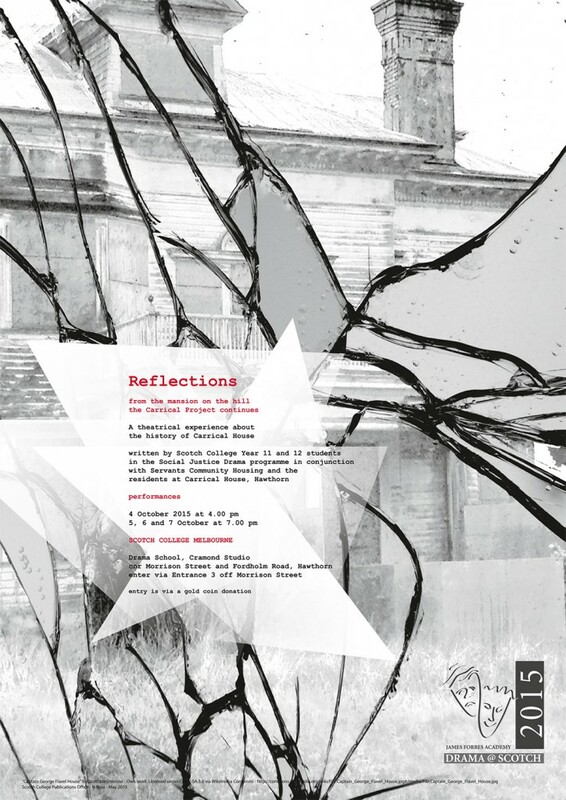 Servants are delighted to announce our latest creative venture alongside our friends from Scotch College – Reflections: from the mansion on the hill. This is in part the continuation of now legendary Voices: The Carrical Project as well as tracing the history of Carrical House. Written by Scotch College Year 11 and 12 students in the Social Justice Drama programme in conjunction with Servants Community Housing and the residents at Carrical House, Hawthorn. Entry by gold coin donation at the venue. Scotch College, Drama School, Cramond Studio, cnr Morrison Street and Fordholm Road, Hawthorn. Enter via Entrance 3 off Morrison Street.